Have you been labelled sensitive, were you told as a child you needed to toughen up and have you yourself given you’re quick to detect signals from energy a label as unpleasant? Empathic and Sensitive humans are not a basic commodity, there is something very different about us, our sensitive nature is not to be cursed by anyone especially our self because the makeup of our heart and Soul is rare and unique indeed. How you react to the outside World leaves your physical body and your internal senses fragile, to say the least, you discern everything to your core which leaves you with feelings of constant fatigue, extremely emotional, overstressed and incredibly vulnerable to those humans who lack what you have, people who are often called energy vampires. There must come a time in your life as an Empath when you realize how much more you need to take care of yourself, this revelation, whenever it occurs, is what will ultimately save your life. Sensitives are so prone to illness and disease this is because we carry the Worlds negativity inside of us, everything we feel, sense, detect, and perceive is stored as heavy energy inside of our body and our Soul. Negative energy destroys our sense of Self, it makes us suffer in so many ways and eventually makes us unhealthy. It is vitally important that you begin to take steps to empower yourself so you may begin to heal if you are sick, and so you may continue with your good health if you are not, learning about energy and how it can directly affect us in the most damaging ways not only physically but emotionally and mentally is the key for an Empath and Sensitive to live a happier and more peaceful life. My purpose and mission are to teach the wisdom I have gained on my journey from a life-threatening illness to an incredibly healthy body, mind and Soul to as many Empaths and Sensitives as I am able for as long as I can. 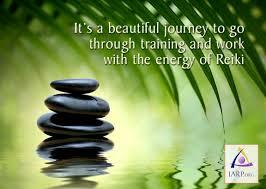 Please sign up for my Reiki Courses, because in these courses that I teach I will show you how to be a finely tuned instrument but not suffer from the symptoms of who you are any longer.